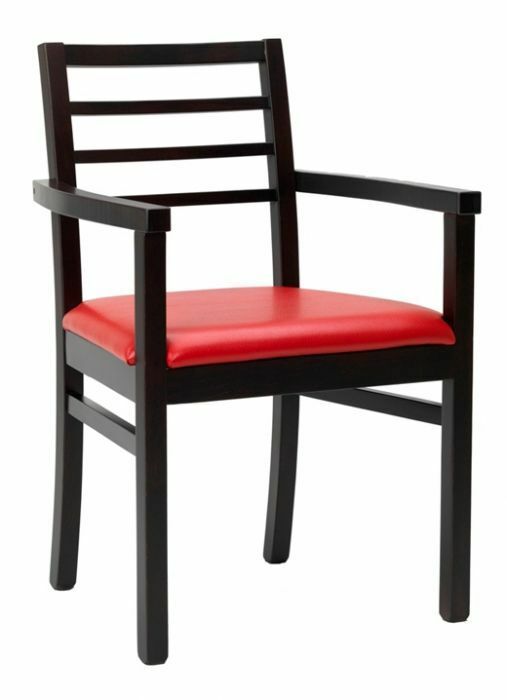 Wooden dining armchair with a European solid Beech frame and easy clean faux leather seat in a choice of 16 finishes. Delivered assembled and ready to use. Armchair variation the Ridley chair, with sophisticated back design and upholstered seat in coloured faux leather. You can expect a 15 -20 working day lead time with this range.